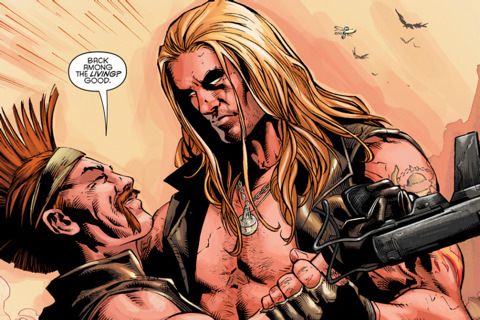 Get a sneak peek at Fallout: New Vegas—All Roads, the graphic novel available exclusively in the Fallout: New Vegas collector’s edition from Bethesda Softworks. 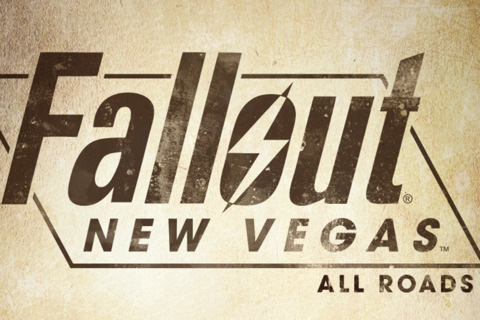 All Roads introduces the world of New Vegas, a town of dreamers and desperados being torn apart by warring factions vying for complete control of this desert oasis, and a tells an intriguing tale of loyalty and violence that leads right up to the beginning of the game. 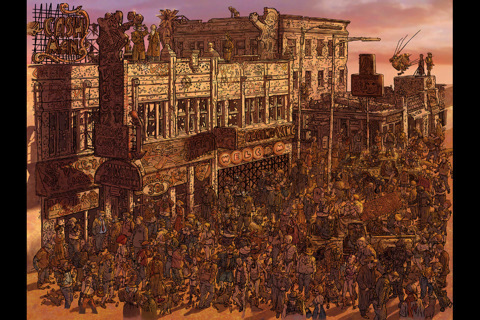 Written by Chris Avellone, the game’s Senior Designer, All Roads is tightly integrated into the story of New Vegas, even containing clues to in-game missions for the sharp-eyed reader. Artists Jean Diaz (Incorruptible) and Wellinton Alves (Shadowland: Blood on the Streets, Nova) and cover artist Geof Darrow (Hard Boiled, The Matrix, Big Guy and Rusty the Boy Robot) stunningly interpret the world of New Vegas. Featuring twelve full pages of story and Geof Darrow’s intricate cover image, this app is sure to whet your appetite for the graphic novel, and for Fallout: New Vegas itself.